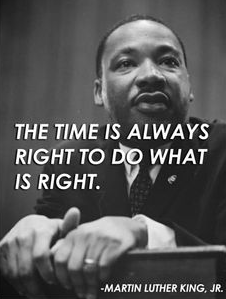 Happy Martin Luther King, Jr. Day! I received an email from Retta of Rainbow City Learning. She wrote about the deplorable conditions which the students and teachers of the Detroit Public Schools must endure every day. Once I saw the photos on the Internet, I was appalled...and relieved that we didn't have it THAT BAD in the Los Angeles Unified School District. I am not a gifted writer like Retta, but please take the time to read her blog post at http://rainbowcitylearning.blogspot.com/2016/01/setting-sail-with-hope.html. I am sure you will then sign the petition and perhaps join the other bloggers who are writing blog posts and joining her Linky Party. The bloggers are sharing their favorite Dr. King quote and then interpreting it in a way that addresses the current crisis in Detroit. It's a big problem. We need to support our fellow teachers in Detroit!